Remote Year partners with different organizations across the globe, addressing local needs through sustainable and long-term partnerships. Remotes strive to share their time and talent to make a Positive Impact on the communities we call home. "Positive Impact was a huge part of my RY experience. 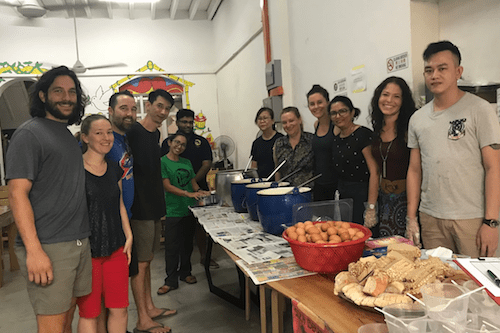 The consistency of our monthly service projects was a valuable bonding experience for our group and it taught me much more about the culture in each of our cities than I would have found on my own." 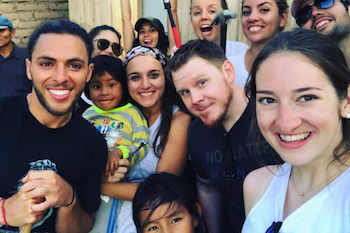 "Working on Positive Impact projects was one of the most rewarding highlights of my Remote Year. 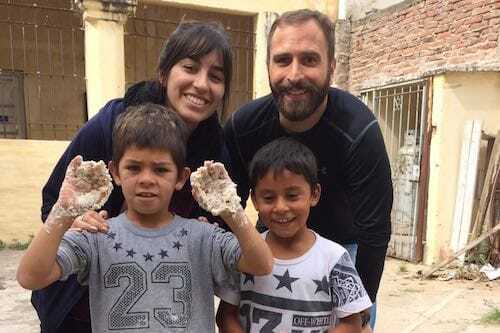 Finding ways to dedicate time with clean up efforts or community outreach gave me ways to connect with the local communities and environments that went far beyond causal interactions and sightseeing." A group of empowering young Guides who take Remotes to Kampot and teach them about environmental degradation. 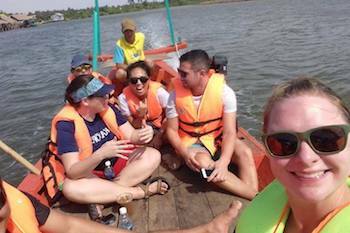 The group goes out to sea to plant mangrove trees, helping to prevent shoreline erosion. Many RY programs have supported Zaklada za zaštitu životinja to help care for their dogs, provide funds for the no-kill shelter, and to build awareness to help find new homes for the dogs. 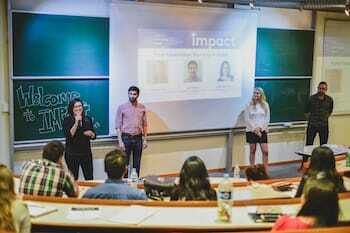 Remote Year Cousteau organized a conference in La Paz for over 100 young entrepreneurs to learn from Remotes about various tech, start-up and creative subjects. Argentina’s first and only monkey sanctuary. They rescue several species of at-risk monkeys, many of which were poached as infants and sold as pets. Several Remote Year groups collaborated to build a new website for Proyecto Carayá that included a new marketing video and fundraising platform. Remotes worked with a Pan-American NGO called Techo that builds houses for people affected by various natural catastrophes. The Remote Year Ikigai community rallied together to raise the $1500 needed to collect materials and build a home for a family in need. A boutique store and co-operative where women with disabilities create all the handicrafts that are sold to make a living and to have a stronger sense of purpose and belonging in the community. Remote Year Veritas created video and marketing content, supported the store financially, and spent time with the amazing women. 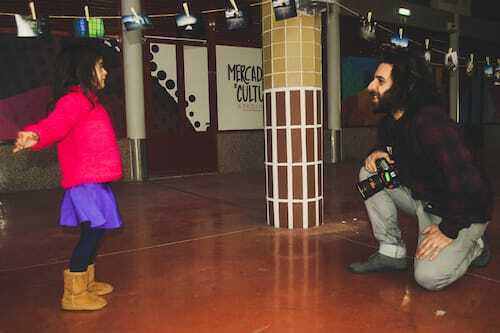 Provides positive and creative outlets to combat the struggles that accompany the youth. During 2017, Remote Year programs Veritas, Kaizen and Balboa connected with T.R.A.P. to plan, raise funds and provide manpower for the first phase of the launch project. A community cafe for homeless individuals and refugees, feeding anywhere from 130-300 people a day. Remotes have helped serve food, built them a CRM to track the people they are serving and help with inventory needs, helped source new food partners and so much more. A non-profit organization that accommodates women and children from surrounding villages who have been ostracized for various reasons. Remotes help with labor around their large property and to teach the women basic business and trade skills. RY also helps with fundraising, sales and marketing for their website and online store. A Jesuit organization that tutors and teaches sports to the children of the neighborhood. Remote Year has been supporting this organization’s work by raising funds to buy supplies and lending helpful hands to restore the venue they use to tutor the children. A non-profit that works with underprivileged children to share the experience of using recycled materials to build “pinhole” film cameras. Remote Year Mangata raised funds to purchase equipment for the NGO to pave the way for a more sustainable future. Zizkostel is a community center and gathering place for the neighborhood to come together, celebrate, and practice various cultural skills like music and dance. Remote Year has partnered with the organization to provide ongoing support to improve the building, as well as participating in various projects such as creating video content for a female traditional dance troupe so they could fundraise for new performance outfits. 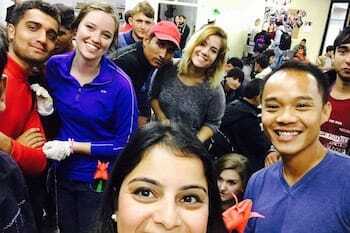 RAS has a mission to assist refugees, displaced persons, and those affected by humanitarian disasters. Remotes have helped with stock organization, fundraisers, teaching and awareness events to create a better understanding of the global refugee crisis. An NGO started by a group of architects and engineers who are experts in renewable energies. 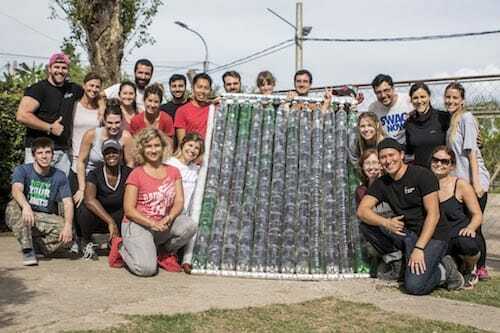 Remotes help raise funds, and work directly with Sumando and the families to construct home water heaters from recycled materials run by solar panels.